Sports Partnership is a company limited by guarantee (company no. 08822764) trading since 1st April 2015. We have a board of 6 skilled, committed and enthusiastic board members along with a highly experienced and energetic team. We take our role as the local lead for Sport and Physical Activity seriously and ensure that our governance arrangements are in order. Sport England's new Code for Sports Governance sets out the levels of transparency, accountability and financial integrity expected from sports bodies seeking public funding, of which we are one. Board minutes will be posted following each quarterly board meeting following approval from the Chair of the board. 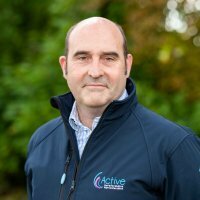 Any questions relating to the Code of Sports Governance please contact Stephen Brewster, CEO.